Once again the Hamiltons have created stirring music as the backdrop for a simple, yet heart-warming drama. 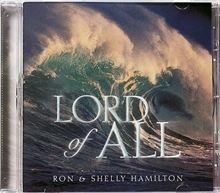 Included in the choral book, Lord of All, are all of the songs and the drama for the Easter program, I Saw the Lord. The modified readers’ theater format of I Saw the Lord tells the story of Taylor, an 8-year-old boy, and his testimony before the medical doctor who is treating his dying sister. Because the story unfolds over several days before Easter, the themes of death, life, love, and resurrection are beautifully entwined throughout the drama. The music powerfully conveys the lesson behind the story.